A concentrated, stable source of Phosphatidyl Choline. 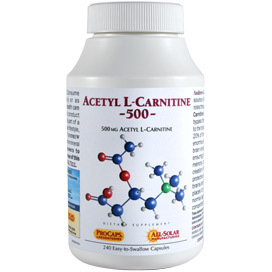 Important for the health of the nervous and cardiovascular systems, and plays an essential role in the healthy functioning of the liver and brain. 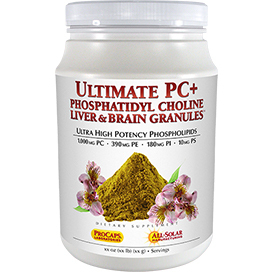 PHOSPHATIDYL CHOLINE LIVER & BRAIN BENEFITS provides a concentrated source of Phosphatidyl Choline, which is the most abundant phospholipid in the body – particularly the liver and brain. Although the body can produce Choline, our dietary contribution of this nutrient has decreased, so the US Food and Drug Administration now recognizes Choline as essential. Choline plays a vital role in a multitude of processes throughout the body, including the health of the nervous and cardiovascular systems, the integrity of cell membranes, as well as the growth of healthy hair. 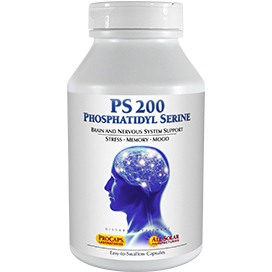 Phosphatidyl Choline is a precursor and necessary raw material for the production of two vital components of the nervous system, Acetylcholine (a vital neurotransmitter) and Sphingomyelin (required for nerve cell protection). Both are absolutely essential for the normal, healthy functioning of the nervous system and brain. 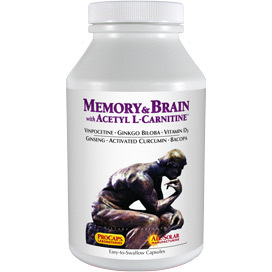 Given this role, it is not surprising that Phosphatidyl Choline has been observed to help with the mild memory problems associated with aging. Phosphatidyl Choline is also the most prominent component in the liver's complex array of membranes and makes up almost two-thirds of the more than 355,000 square feet of the liver's total functional surface area. Phosphatidyl Choline is absolutely essential to the performance of the liver's vital role of cleansing the body's internal environment and processing and excreting chemical waste products, including most medicines and alcohol. 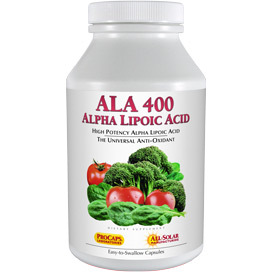 It is also required for the transport and metabolism of fats and cholesterol within the body. Phosphatidyl Choline is absolutely unique in its prominence in both the brain and liver and the essential role it plays in the healthy functioning of each of these two vital organs. Consume two or more capsules daily or as recommended by a health care professional. For best results take this product with food, preferably a complete meal. This product is most effective as part of a healthy diet and active lifestyle, along with one of Andrew Lessman’s multi-vitamin-mineral formulas. I was born with a rare bone condition and as a result, I have been taking anti inflammatories and other meds since I was a child. I am now in my mid 50s and although I tried to take care of myself, my liver enzyme levels were moving steadily up. My liver specialist said I had a fatty liver and only suggested that I take Vitamin E daily. I know that I will be taking medications for the rest of my life and I decided to get proactive, so I ordered PC Liver and Brain as well as Liver Anti-Oxidants. I have taken them every day for the last 4 months. When I went to my doctor this week, she said my liver enzyme levels were completely normal. She even had to ask me what I was doing to have such a big change in such a short time. I brought my ProCaps bottles out and she said I should keep using them. She was very impressed with ProCaps effectiveness and I am thrilled. I cannot speak highly enough of Andrew Lessman's products. I checked other sites to see if they offer any of these valuable ingredients, as usual they don't! Besides having the best vitamins on the planet Andrew offers combinations you can't get anywhere else. Since I was 15 years old I have always had a bilirubin test result that was above the range of normal. As I have gotten older the numbers have gotten higher. Knowing that I was going to be having a blood test in June, I started taking this vitamin along with the liver antioxidant--for about 4 months straight. I just received my blood test results and my bilirubin level is within normal limits. In 30 years this has not happened! The only change I have made was adding these two supplements. I will not be without them again. Thanks for such great products. I love this product. I have been taking it for approximately 2 years. I definitely notice the improvement in mental clarity and memory. My husband started taking it after he was diagnosed with liver cancer. I believe this is helping keep his liver healthy. 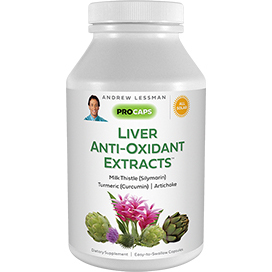 I believe this product helps to keep his liver healthy. I don't drink alcohol that often and when I do have even a glass or two of wine, I feel it the next day however, since I have taken PC Liver and Brain Benefits, I have no headache or stomach problems at all the next day. I have never taken anything for my liver before and thought this should help cleanse it and build it up. Well, I wasn't ready for the effect it had on my mind. This product does all that it says and more... Great product, Andrew. My husband and I love taking these... We trust Andrew to make all of our vitamins because they really work. I've been taking this product for probably the 3 years or so - I never miss a day. I take certain medications for various reasons and I feel great knowing that I'm doing something to aid my liver in its day-to-day metabolic functions. Also, as Andrew's product description points out, phosphatidyl choline is a major component of cellular membranes...and a precursor for acetylcholine. It's a very affordable product (thank you, Andrew!) and I'd never be without it!! 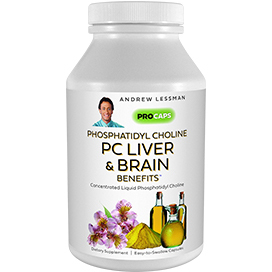 I have taken PC Liver and Brain Benefits for almost two years. I started taking it for my liver, as I take a good deal of Tylenol, and so far my liver function tests are great. However I was astounded at the wonderful effects this product has had on my memory. I can remember birthdays of friends I have not seen in 50 years. I no longer go from room to room trying to remember what it was I was looking for! I am 75 years of age, and I consider this product a real boon to my existence. Thank you Andrew. Give this one five stars.